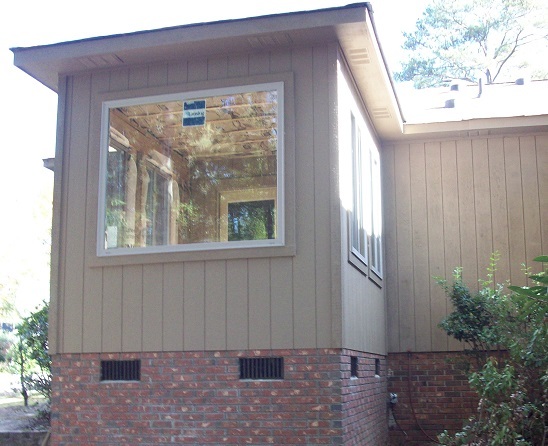 Our most recent sunroom addition in Columbia, SC proves that outdoor rooms don’t have to encompass a large area to be effective. Many homeowners thinking of adding an outdoor living space or outdoor room addition rule out the potential to bring their vision to life when they don’t have a large space to work with. Here at Archadeck of Central SC we realize that small spaces have every opportunity to add as much enjoyment and benefit as large spaces do. The only difference is being limited to how many functional zones can be portrayed within the space you have. For example, someone with a larger-scale deck or porch will be able to designate space for multiple functions; this is evident in a deck design that features a space for dining and a seating area that resembles an outdoor living room. This sunroom addition in Columbia fits the home and landscape perfectly and proves that bigger doesn’t necessarily mean better! To make the most out of the space you are working with it is always important to decide which function you most want to achieve within the space. Many times it is not the lack of space that sets restraints on a project design. Lot constrictions and setbacks can create a scenario where an expansive space isn’t possible. It is possible however to create a space that is simple, effective and beautiful in spite of limitations. 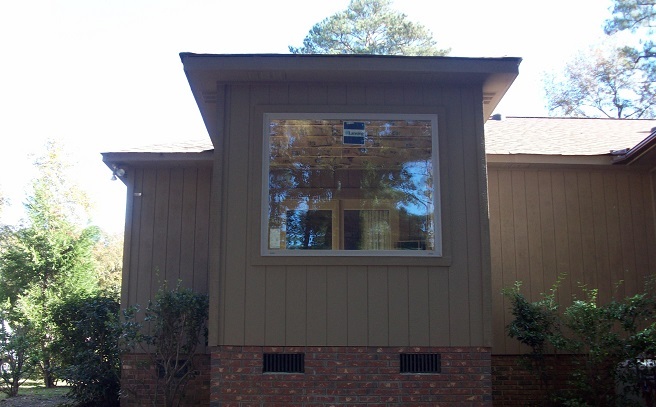 Such is the case with our recent sunroom addition completed in Columbia, SC. The sunroom was built to fulfill the homeowner’s desire to allow more natural light into their master bedroom as well as to add living area to the space. 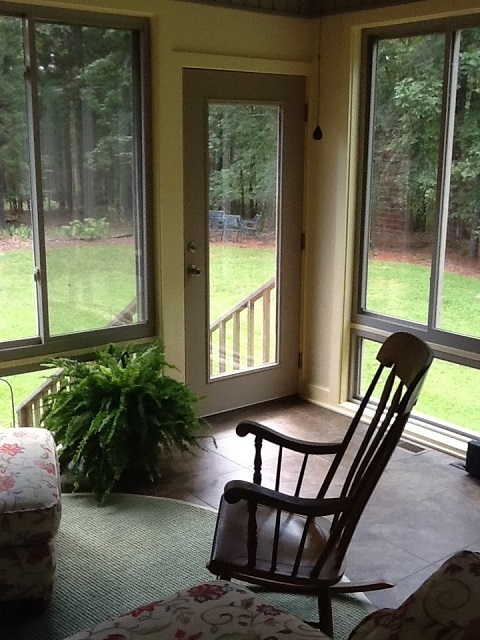 Columbia sunroom interior by Archadeck of Central SC. Investing in a sunroom is a wise decision for many reasons. Even if the sunroom does not encompass a large perimeter the added square footage potentially increases the value of your home. Sunroom additions increase the interior space that you and your family can enjoy year round, as opposed to decks or patios that you can only use for a certain time in the year. Even when snow is on the ground, or temperatures dip below freezing, a sunroom will provide a place to enjoy the beauty of the outdoors without stepping foot outside. Sunrooms are also energy-efficient. They capture the warmth of the sun and allow you to take advantage of large amounts of natural light, decreasing heating costs associated with regular interior room additions. The diverse functionality a sunroom provides adds cost-efficiency. They are versatile spaces that can function as whatever your heart desires. Your sunroom addition can become a family room, living room, dining room and, like our recent sunroom addition in Columbia, a sitting area off of a master suite. Please visit our outdoor room photo gallery and our sunroom photo gallery located on our website for more inspiring sunroom addition ideas. This entry was posted in Outdoor Rooms, Sunrooms and tagged Archadeck of Central SC, Archadeck of Central South Carolina, Central SC outdoor rooms, Central SC porch builder, Central SC the scale of your project doesn't have to be large to make a huge impact, Columbia SC Deck Builder, Columbia SC four season room builder, Columbia SC Sunroom Builder, Columbia SC sunrooms, Columbia SC three and four season rooms, Making your Columbia SC dream backyard a reality on November 15, 2013 by archadeckofcentralsc.